As the demand for cloud computing continues to grow, security remains the largest barrier to greater cloud adoption. We’re making some headway – with cloud providers offering better processes for managing security and the industry developing better methods for assessing them. Yet there are some real limitations presented by cloud computing on our ability to implement and manage controls. To be able to trust the cloud(s), IT security professionals have to understand the differences between what they can control and what they can’t. 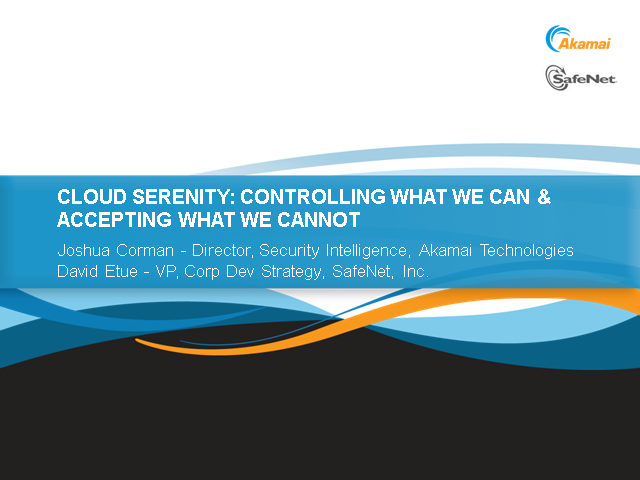 This webinar will explore these questions and also begin to turn the conversation toward how we can position IT to harness the cloud itself to exercise greater control.